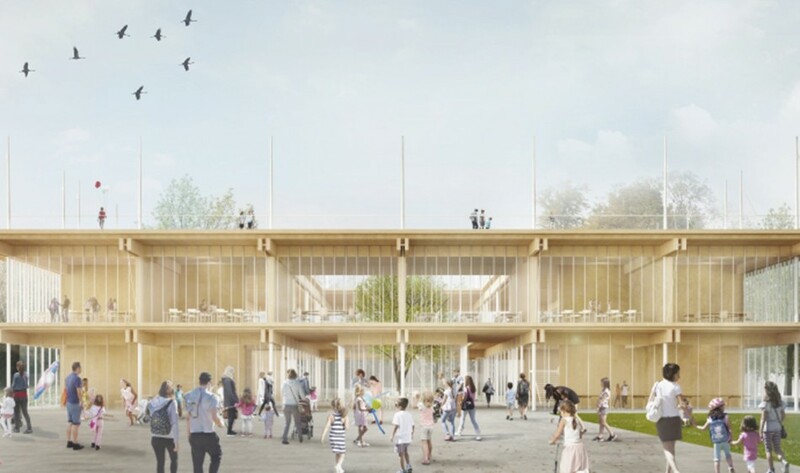 The Renzo Piano Model School, “case study” of the “G124” working group for the year 2017, will be realized for the city of Sora in the Province of Frosinone, zone 1 with a high earthquake risk. The school has been designed according to innovative criteria: opening the building to the territory, almost zero environmental impact, earthquake safety and energy efficiency. It encompasses two floors around a tree and is surrounded by a spacious garden. The ground floor is “everyone’s”, a place of exchange between the city and school, with a gym, an auditorium, and a library-tower accessible to the public. On the first floor, there are classrooms and there is a roof-top area dedicated to leisure and exploration of the world: the ” Terrazza di Talete”, or Terrace of Thales, named after the first philosopher who measured the seasons. The energy efficient building has a very low environmental impact and hosts giant meters to indicate the daily energy and water consumption, so that even the young guests can learn how to save resources. 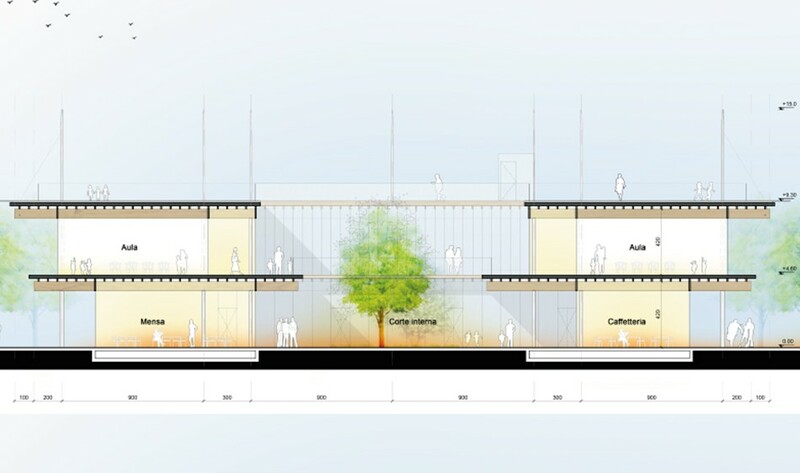 RPBW – Renzo Piano con Massimo Alvisi e Franco Giorgetta.